Last night, we were prompted to merge Google Voice with Hangouts, which we assumed meant that the day of Hangouts becoming the app we always wanted, was here. Google confirmed as much this morning, announcing that free voice calls are now a part of Hangouts on Android, the web, and iOS. 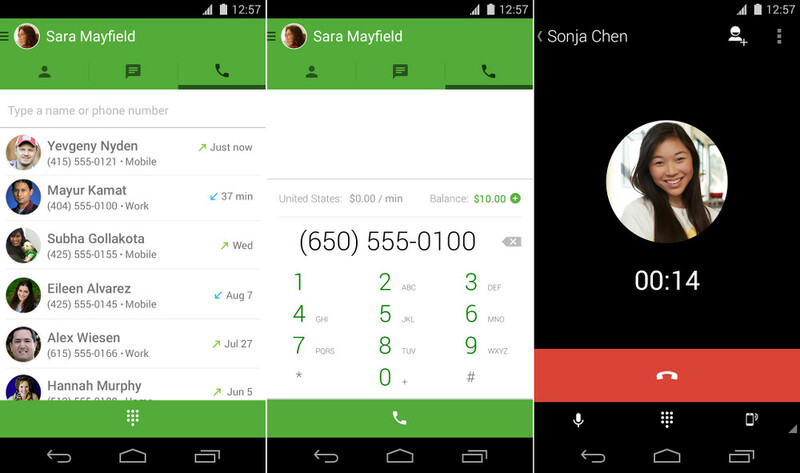 They also introduced a new dialer application for Hangouts that should aid in the call making process. Hangouts calls are free when you call other Hangouts users and when you call to the US or Canada. International rates are also low, just like they have been in Google Voice. The update for Hangouts will start arriving today (.apk below). The new Hangouts Dialer is already available for download through Google Play, linked below. Update: MMS through Google Voice numbers now technically works! Update 2: Here is how to setup your voicemails to show in Hangouts and also not see double notifications.